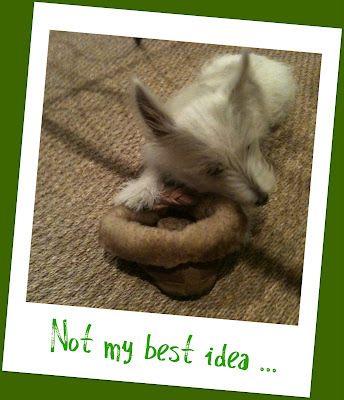 The White Dog Blog: What was I thinking? 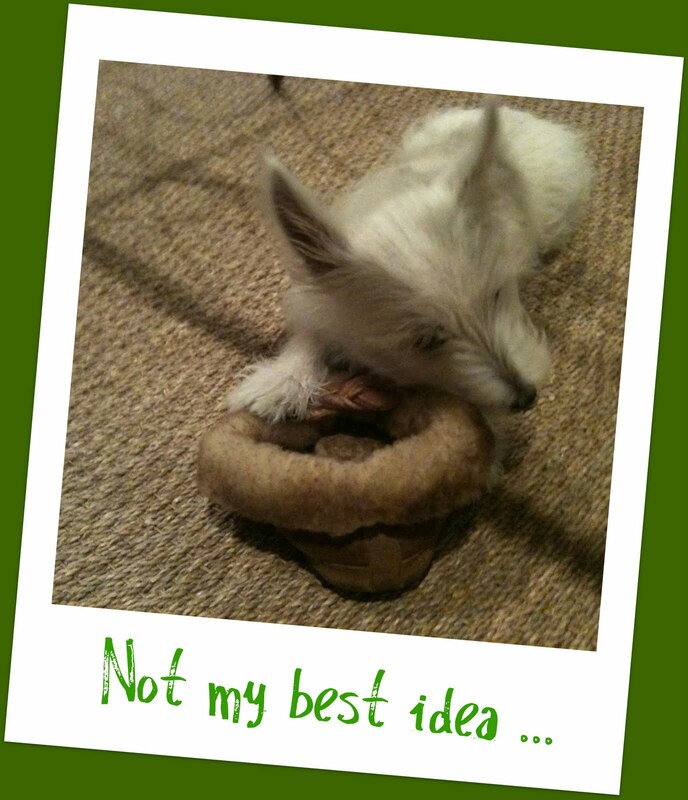 Warning to all pups: do NOT, do NOT, do NOT eat your goopy toys in your mom's favorite slippers. Her favorite slippers that dad gave her on a special occasion. Her favorite slippers that dad gave her on a special occasion that were very expensive. Little D, gonna do better next time!